Washington, D.C. — 25 years after the Tony Award®-winning Broadway musical production of Frances Hodgson Burnett’s classic children’s story The Secret Garden, the Shakespeare Theatre Company (STC) and The 5th Avenue Theatre in Seattle will co-present the timeless tale from November 15–December 31 at Sidney Harman Hall (610 F Street NW). The musical is directed by David Armstrong, Artistic Director at The 5th Avenue Theatre, with whom STC is co-producing the production. The Secret Garden was created by Grammy Award®-winning composer Lucy Simon and Pulitzer Prize-winning playwright Marsha Norman. The show’s lush, melodic score and moving story of love, loss and renewal earned the 1991 Tony Award® for Best Musical and won the hearts of its audiences. After 25 years, Simon and Norman are returning to their much-beloved musical to refine it for contemporary audiences. 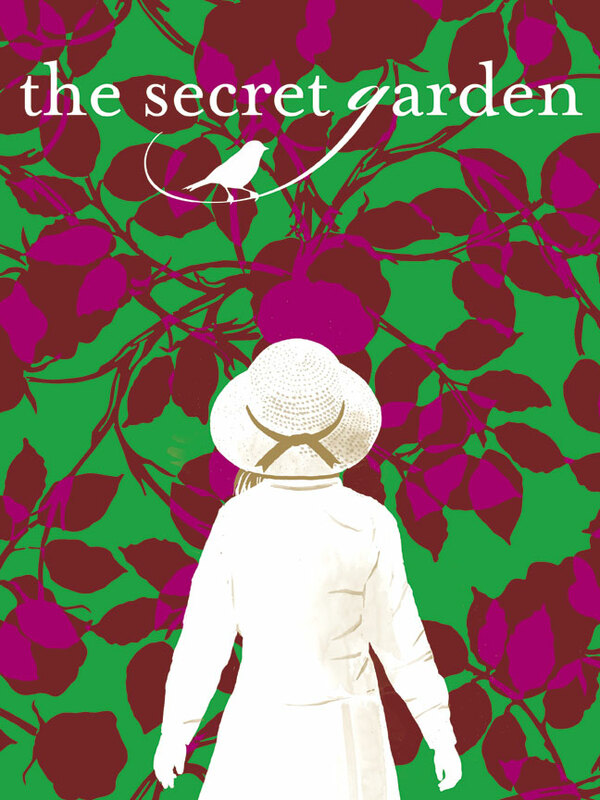 The Secret Garden tells the story of 10-year-old Mary Lennox, orphaned in the British Raj of India and sent to England to live with her reclusive uncle, Archibald Craven, who is tormented by grief and dreams of his late wife. Alone in a house haunted by memories and loss, Mary seeks refuge in her late aunt’s mysterious walled garden. After she meets her frail cousin Colin, together they discover the secrets of the garden and ultimately bring healing and happiness to the house and all in it. Daisy Eagan, who became the youngest actress to ever receive a Tony® Award for her performance as Mary Lennox in the original production in 1991, will take on the role of Martha, the young chambermaid who helps to bring Mary back to life. She will be joined by first-class musical theatre performers including: West End star Michael Xavier, making his U.S. debut as Archibald Craven; Tony nominee Josh Young , whose credits include Judas in Jesus Christ Superstar; and Lizzie Klemperer, seen most recently in Bright Star. Making their STC debuts, the young leads will be played by D.C.-area actors Anya Rothman (Mary Lennox) and Henry Baratz (Colin Craven). An impressive team of designers will create an atmospheric world that will transport Mary Lennox and the audience from Colonial India to the mysterious Misselthwaite Manor on the Yorkshire moors in the north of England. Tony Award®-winning Costume Designer Ann Hould-Ward will return to STC after working with the Company on Man of La Mancha, Henry IV, Parts 1 and 2 and Romeo & Juliet. Scenic Designer Anna Louizos has been nominated for multiple Tony Awards® for her work on the Broadway productions of The Mystery of Edwin Drood, High Fidelity and Lin-Manuel Miranda’s In the Heights. Sound Designer Justin Stasiw returns to STC following his work on Kiss Me, Kate and is joined by Lighting Designer Michael Baldassari, another Broadway veteran (Cabaret, Nine). Rick Fox will serve as Music Supervisor, Music Director and Arranger, assisted by Associate Music Director Brandon Adams. Executive Producer and Artistic Director of The 5th Avenue Theatre David Armstrong has helped position The 5th Avenue as one of the nation’s leading musical theatre companies. He was integral in both its development and production of new works and its innovative stagings of classic musicals. As a director, he staged 5th Avenue productions of Jacques Brel is Alive and Well & Living in Paris, A Room With a View, Oliver!, Candide, Sweeney Todd, HAIR, A Little Night Music, Company, Hello, Dolly!, Anything Goes, MAME, Pippin, The Secret Garden, Vanities, White Christmas, The Rocky Horror Show, Yankee Doodle Dandy and Saving Aimee. He made his Broadway directing debut in November 2012 with the musical Scandalous. Mr. Armstrong’s work has been seen in New York, Los Angeles and at regional theatres including The Kennedy Center, Ordway Center, Ford’s Theatre, Cincinnati Playhouse and New Jersey’s Paper Mill Playhouse. From 1990 through 1995, he served as artistic director of Cohoes Music Hall in upstate NY. Armstrong has also written the books for the musicals The Wonder Years (winner of seven Drama-Logue Awards), Gold Rush and Yankee Doodle Dandy. Marsha Norman is an American playwright, screenwriter and novelist. She received the 1983 Pulitzer Prize for Drama for her play ’Night, Mother. She wrote the book and lyrics for Broadway musical The Red Shoes, as well as the libretto for The Color Purple and the book for The Bridges of Madison County. Lucy Simon is a Grammy Award®-winning composer. She made her Broadway debut as the composer of The Secret Garden but is also well known for the musical production of Doctor Zhivago. Following lead roles on stage in the United Kingdom for almost 15 years, Michael Xavier will make his U.S. debut in The Secret Garden. He has received Olivier nominations for his performances in Into The Woods at Regent’s Park Open Air Theatre and Love Story at The Duchess Theatre. Other notable credits include Miss Saigon, My Fair Lady, The Phantom of the Opera, Oklahoma! Assassins, The Pajama Game, Show Boat and The Sound of Music. Most recently, he played Joe Gillis in the critically acclaimed Sunset Boulevard opposite Glenn Close at the London Coliseum. Josh Young played the role of Judas in the Broadway revival of Jesus Christ Superstar, for which he was nominated for the Tony Award® for Best Featured Actor in a Musical. He has performed in several shows in the Stratford Festival and for his role as Che in Evita, he won the Broadway World Toronto Award for Best Actor in a Musical. Lizzie Klemperer joins the cast of The Secret Garden following her role in the hit Broadway musical, Bright Star. On the New York stage she most recently appeared in A Christmas Story and The Most Happy Fella and went on a national tour with a production of The Addams Family. Daisy Eagan became the youngest actress to receive a Tony Award, for her performance as Mary Lennox in the original production in 1991. On Broadway, she also appeared in the original production of Les Misérables and James Joyce’s The Dead. 10-year-old Virginian, Anya Rothman appeared in the national tour of How the Grinch Stole Christmas. Her regional theatre credits include: Because of Winn-Dixie at the Delaware Theatre Company; The Sound of Music at Millbrook Playhouse; Fiddler on the Roof at Ash Lawn Opera. Maryland resident, Henry Baratz makes his debut for STC following stage and screen roles including the Signature Theatre in Elmer Gantry, Olney Theatre in Carousel, Ford’s Theatre: Ragtime (reading). His credits also include Carmen with the Washington National Opera. Rounding out the company are Alex Alferov (Ensemble/Soldier/Footman), Brittany Baratz (Rose/Ensemble), Jared Michael Brown (Lieutenant Wright/Ensemble), Mary Jo DuGaw (Claire/Mrs. Winthrop/Ensemble), Catherine Flye (Mrs. Medlock), Jason Forbach (Captain Albert Lennox), Charlie Franklin (Dickon), Seán G. Griffin (Ben Weatherstaff), Maya Maniar (Ayah), Happy McPartlin (Cook/Ensemble), Greg Stone (Major Holmes/Ensemble), Hayley Travers (Housemaid/Ensemble), Vishal Vaidya (Fakir), Ethan Watermeier (Major Shelly/Butler/Ensemble) and Billie Wildrick (Alice/Ensemble). Ann Hould-Ward (Costume Designer), Anna Louizos (Scenic Designer), Michael Baldassari (Lighting Designer), Justin Stasiw (Sound Designer), Rick Fox (Music Supervisor/Music Director/Arranger), Brandon Adams (Associate Music Director), Laura Stanczyk, CSA (Casting Director), Carter C. Wooddell (Resident Casting Director), Drew Lichtenberg (Literary Manager/Dramaturg), Lisa Beley (Dialect Coach), Craig Baldwin (Assistant Director), Charlie Marie McGrath (Directorial Assistant), Joseph Smelser (Production Stage Manager), Elizabeth Clewley (Assistant Stage Manager) and Kristy Matero (Assistant Stage Manager). Musicals at the Shakespeare Theatre Company are made possible by the Beech Street Foundation. The Secret Garden is sponsored by the HRH Foundation. This production is dedicated to the memory of Ellie Merrill, former STC Trustee and beloved patron of the arts. Restaurant Partner: Carmine’s.